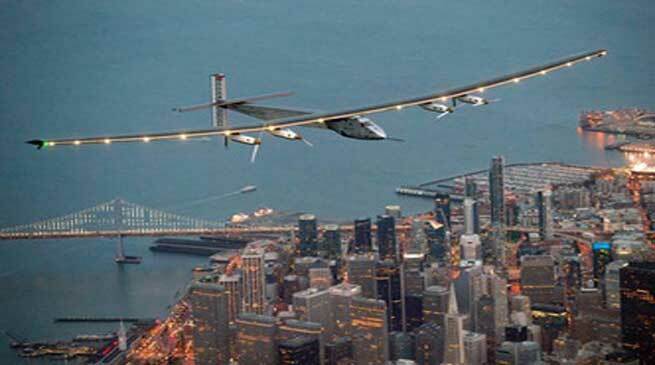 It might amuse and surprise one to know that Solar Impulse 2, a solar powered aircraft created history after having circumnavigated the world in a 40,000 km long trip that took almost 16 months to complete. The plan landed at Abu Dhabi at the end of its historic trip. The head of the company and the Impulse 2’s pilot, Betrand Piccard said that his company has initiated a grass root effort to encourage the use of this technology by the government, organisations and even individuals. Solar Impulse-2 made a total of 16 stops at Oman, India, Myanmar, China, Japan, USA, Italy, Egypt and the UAE during the length of its entire trip. It also flew over California, Arizona, Ohio, Pennsylvania and New York during the duration of its flight time in the skies above North America .